a braided hairstyle with that dress would be the ideal summer outfit! i love wearing my hair in a braid like that - it's the best way to get it off my neck in the summer and it makes me feel kinda like a fairy or like Laura Ingalls Wilder (she was my idol from about age 5-12). Sigh, I saw that braid just this morning. It is so beautiful isn't it! Too bad I have super curly hair, but I do so admire it. That dress is just lovely. I need more braids in my life. Why are they so darn good?! If only I was better at them. My Scandinavian friends are braid WIZ Goddesses...so so jealous. When they come to visit, I look like a prairie angel. I've been staring at that braid ever since she posted it. Sadly, I am simply not skilled enough to recreate it. I need a live in professional hair stylist. I want those braids! I wish my husband could be useful and learn how to braid hair! i like you wants. i want them too! That loft is quite lovely. I am always so impressed when people are able to pull of simple and spare, but also warm and inviting at the same time. Beautiful! I hope you get them all! And when you do, show us how to do that braid. i'll take one of each too! love the braids! ooh, ooh, ooh! me too! (raising my hand high). 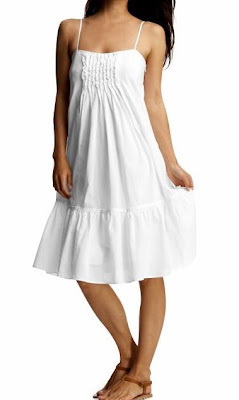 I don't know where that white dress is from but there are about 10 in my virtual carts spread all around internet-dom. thanks for the inspiration! haha which makes it sound like this girl looks 9 - she does not, i want to be able to do what she does. good lord... me want braid. Please add each of these to my wants list. Thank you. I love the braid too. I just got a hair cut that I am not too fond of, the braid just may help. oh, do love the hair! wish i could do something like that on my own. 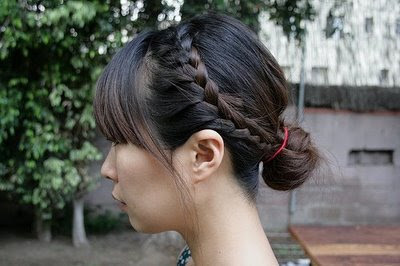 The braids are also on the top of my list, but my hair won't grow fast enough!! !